Legend Secure gives family members and caregivers the ability to monitor their loved one’s activity, and uses smart sensors to learn their daily routines. Wellness can identify problems as they arise, notifying you that your family member may be in need. Unlike traditional Personal Emergency Response pendants, Legend Secure’s system does not rely on the individual to press the button or remember to always have it on hand. Your loved one will never been on their own in an emergency situation. Legend Secure Wellness helps to simplify your loved one’s life, taking control of minor responsibilities so that they don’t have to worry about it. Automated lights, thermostats, locks, and security means less stress for them and more peace of mind for their caregiver. Know that your loved one is up and about. 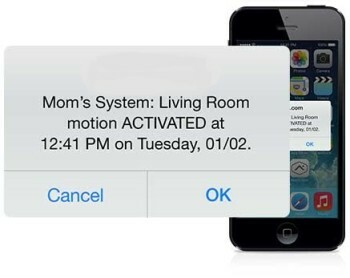 Receive instant notification when they enter and leave the home so you can make sure they're safe. Know your family member’s typical activity and be notified if something out of the ordinary is going on. Make their lives easier using automated thermostat, lighting, and security settings. Use Personal Emergency Response pendants to enhance your wellness experience.